Welcome to Week 46 of Paint Party Friday!! What a party last week - over 90 painters! Wow!! It is great to have you new PPFers join us and wonderful to see so many people coming back each and every week. And the art! And the talent! Fabulous!!! It is also great to see how adventurous and open to experimentation you all are - our poll showed that the majority of you are willing to try any shape of canvas. Rectangles are otherwise the most popular choice. Thinking about shapes... we started to wonder about what shape paint brushes you like best? A couple of little housekeeping notes on comments. Internet Explorer and Blogger seem to be spatting again and causing some of you to have problems leaving comments. Switching your browser to Chrome seems to alleviate these issues. We were using Chrome so we haven't noticed the problems. Maybe using other browsers might also help but we haven't tried. Also Blogger seems to have changed their captcha/word verification on some design layouts so you have to scroll down through a window to find the darn word. And those words seem to get longer every day! The other word verification system captcha we find almost impossible to read - and we ARE humans! Most PPFers love commenting and everyone really loves receiving your comments. With a group this big, anything that slows us done as we "work the room" makes it less likely for people to stop and chat. We don't use captcha or word verification and have never had any problems so we think it worth turning off. However, we all want to feel secure. The "comment moderation" settings are another way to protect yourself by looking at and approving your comments before they are published. EVA uses them, Kristin and PPF don't. 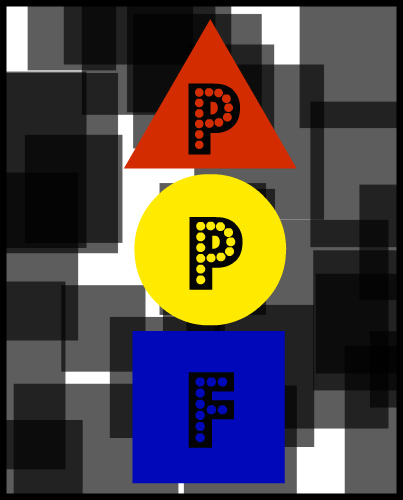 PPF has had almost no spam, maybe none. (Thank you!) EVA noticed that each time she turns it off, some spam seems to sneek through. Something to consider to make commenting easier for us all? Have a marvelous time at this week's Paint Party! Welcome to Week 45 of Paint Party Friday! 2012 is really off to an awesome painting and partying start! Hope you have a fantastic time at the party! 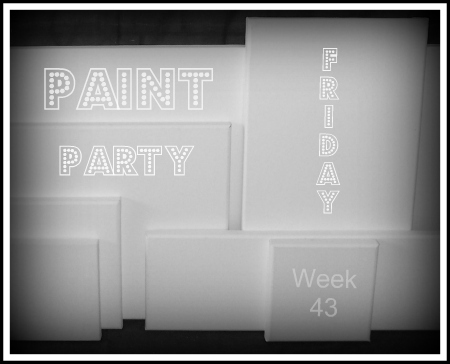 Welcome to the Friday the 13th edition/Week 44 of Paint Party Friday! It's wonderful to see the new year start with a number of new painters joining us for the first time! Welcome! And Welcome back to everyone who has been here before - great to see so many familiar faces already in 2012. 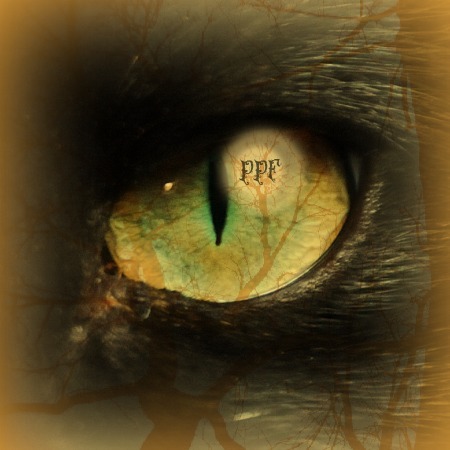 Since PPF falls on Friday the 13th this week, we thought we'd have a fun poll and ask about your superstitions - if you have any! We hope you have a great time at the party and that Friday the 13th brings you only GOOD LUCK! Paint Party Friday: Week 43 Check-In - Happy, Creative 2012 Everyone! Last week, we talked about resolutions. Some of you had art related resolutions and goals, others didn't make them and an increasing number of you preferred the idea of a Word of the Year. We (EVA and Kristin) posted about our "Words" as did Lisa/WrightStuff and others. Geri/MyHeartArt has even started a blog hop about the Word of the Year so if you want to share yours, please join in. Some of you talked about wanting to paint a specific number of paintings in 2012. Gloria has twelve (12 for 2012?) in mind... (though we suspect she may paint more...) and Mary mentioned her lofty goal of a painting a week. What about you? 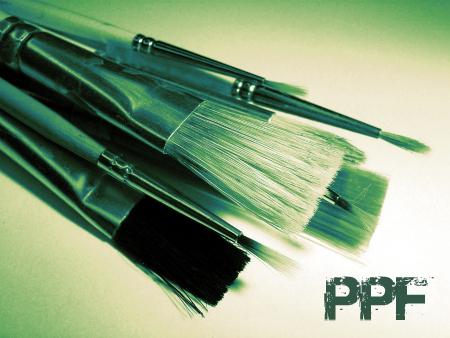 Do you have a specific number of paintings that you want to paint in 2012?